A intimate mountain lodge for your family reunion or corporate retreat complete with fully equiped cabins and a full service restaurant. Enjoy your vacation or meeting time on the trails, at the lakes or on our grounds under the trees while we do all of the cooking and cleaning and planning for you. 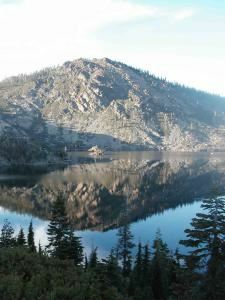 In the beautiful Feather River Lakes Basin region of Plumas National Forest near Graeagle, California.